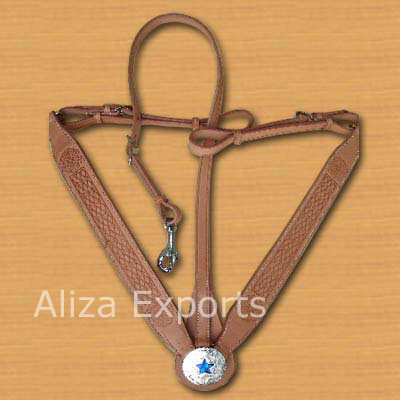 Leather breast with carving Size :- Full , Cob, Pony, Shetland. 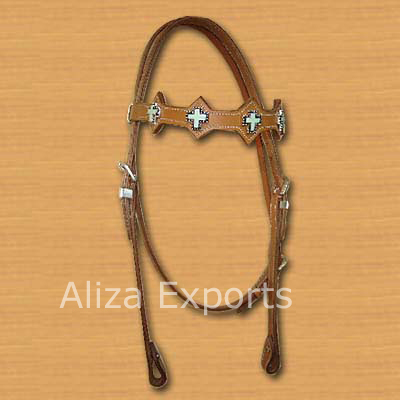 Leather breast plate decorated with silver flowers. 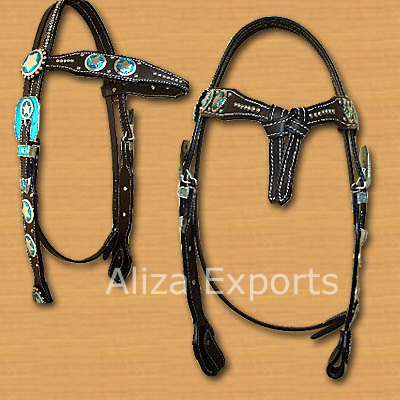 Headstall with combination of round stuns. 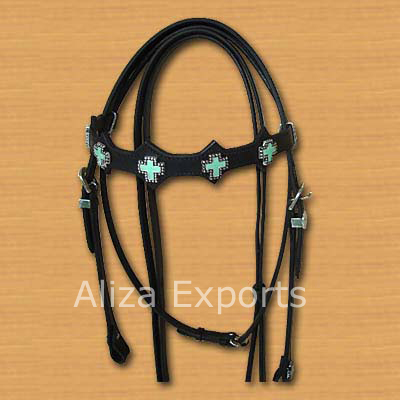 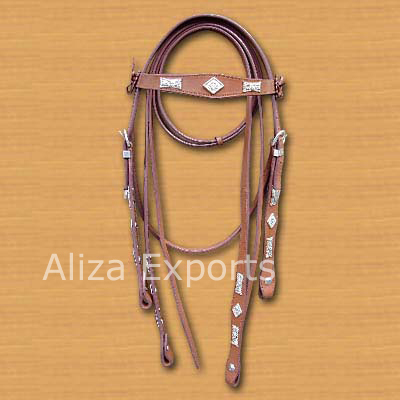 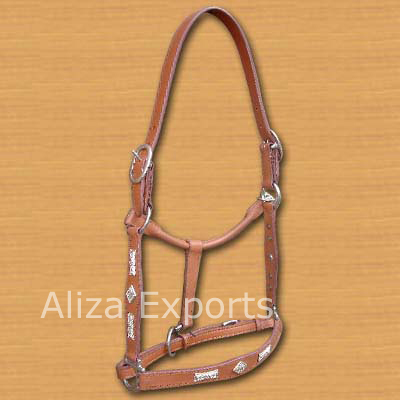 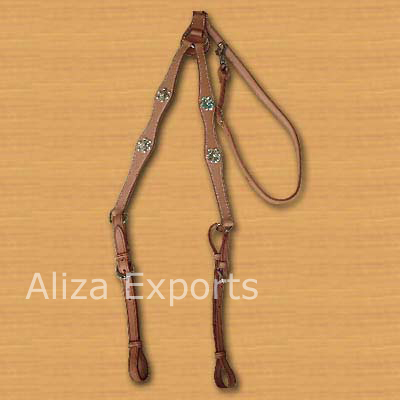 Western bridle decorated with silver beads. 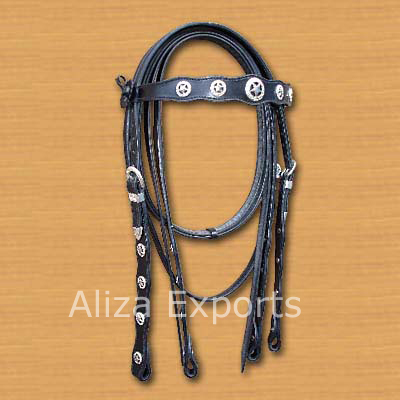 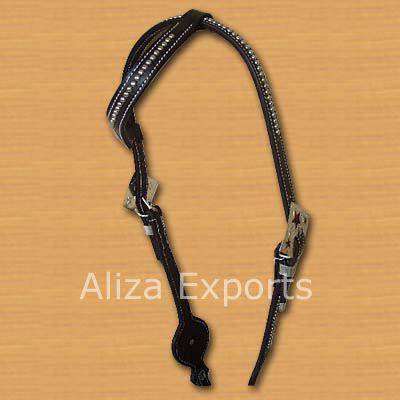 LEather western halter decorated with silver trims. 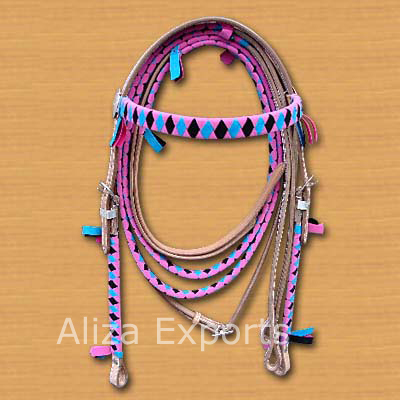 Unique leather headstall decorated with multi colour ribbons. 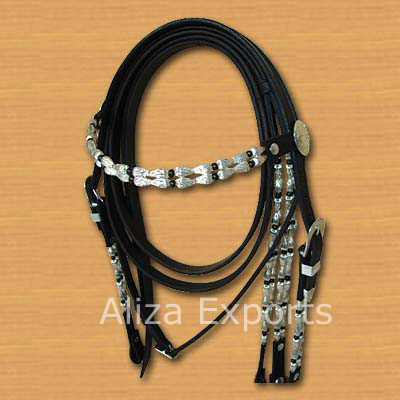 Headstall with multi - beads decoration. 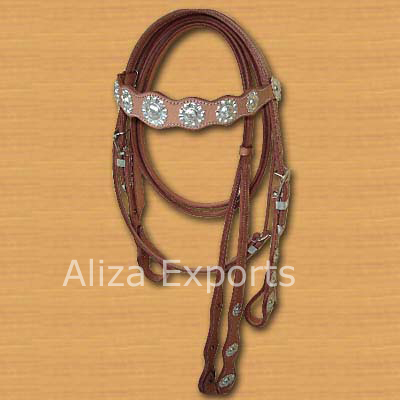 Headstall decorated with Star etched silver trims. 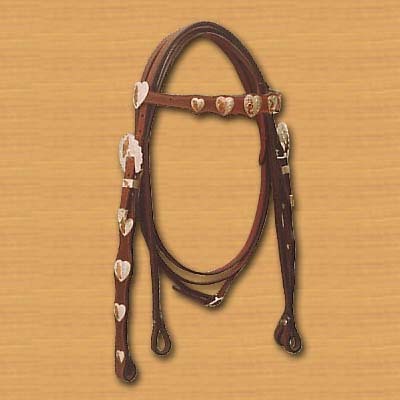 Headstall decorated with heart trims.